Interim Chairman of People’s Party wishes success to Ilhan Omar and Rashida Tlaib, the first 2 Muslim women to be elected to US Congress. 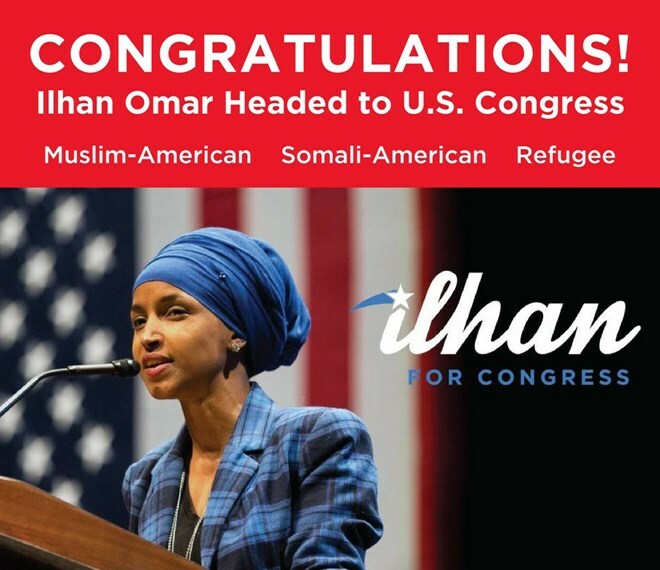 People’s Party on Thursday congratulated the two newly elected Muslim congresswomen in the U.S.
“Congratulations to Ilhan Omar and Rashida Tlaib for being elected to the U.S. Congress. This is a great achievement for Muslim Americans,” Ahmed Nuur Arlaadi posted on Twitter. Minnesota’s Omar and Michigan’s Tlaib both made history Tuesday by winning their elections and becoming the first Muslim congresswomen to be elected to the U.S. Congress.